I’m working on a series of children’s portraits for a client on Elance. It’s a potential job; maybe I’ll get it, maybe I won’t. 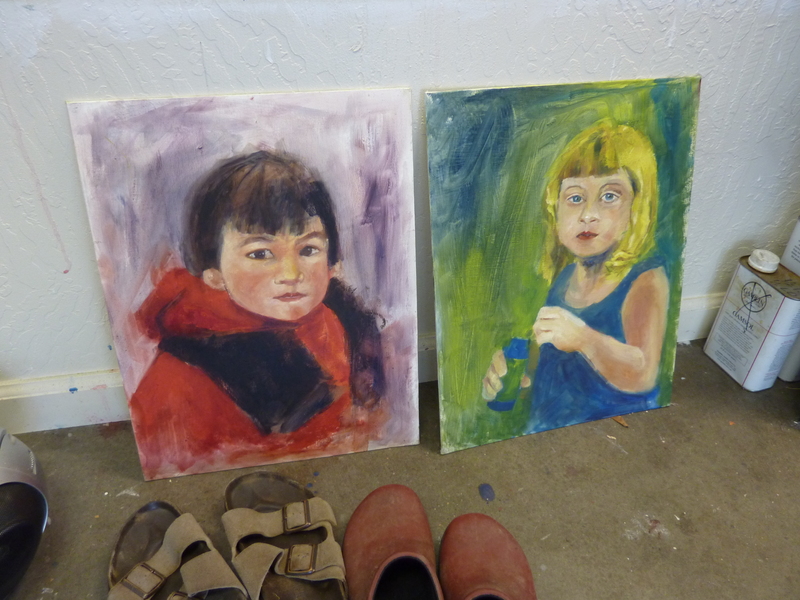 But it gives me an incentive to do portraits in oils. 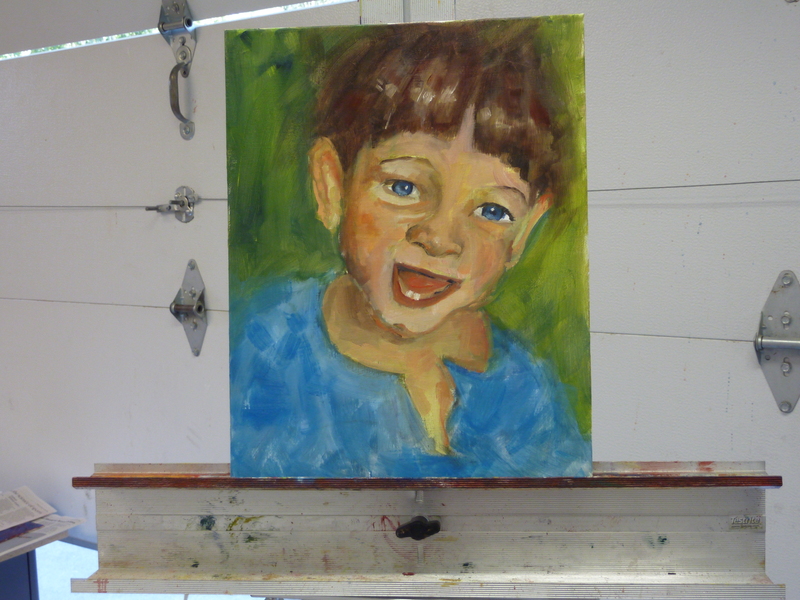 This is a new skill to me – painting portraits in oil and cold wax. The first two attempts are somewhat successful but stiff. The third one which I’ve done today is much more expressive. Still I need to add the finishing touches on all three.